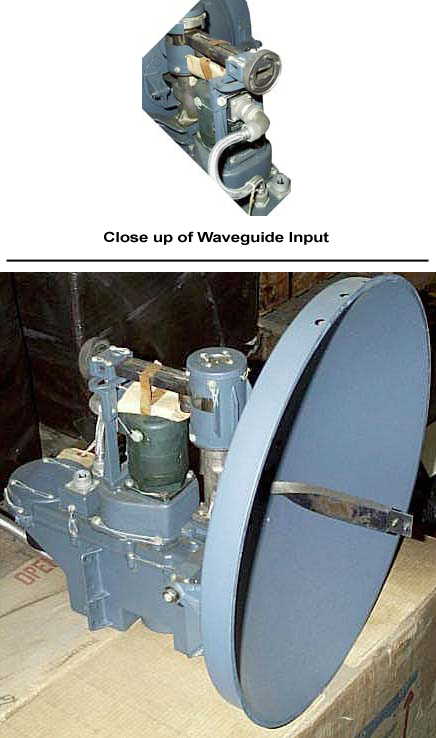 Bendix Radio aircraft loop antenna. Type MN-20E. Circa 1950. Mechanically rotatable via splines on bottom. 5" x 10" base, 9" loop. New, but worn. Brand new in the crates! APS-20 Parabolic Dish. 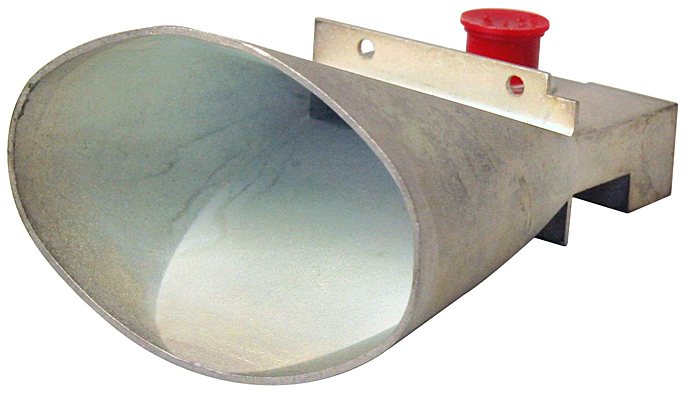 Use AS-539 Horn. 38-3/4" high, 102-1/2" wide. Aluminum dish, black anodized, on swivel base. 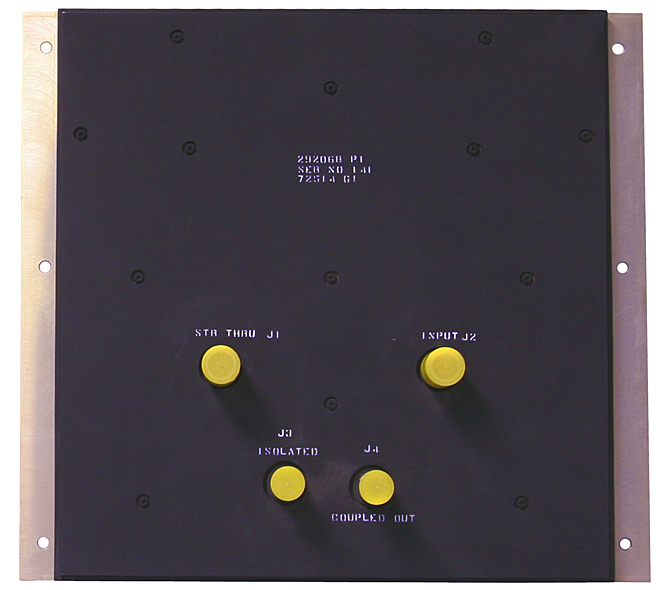 APS-20 radar systems were the heart of WWII surveillance, used in the Boeing B-17 Flying Fortress and P2V-2S Neptune. 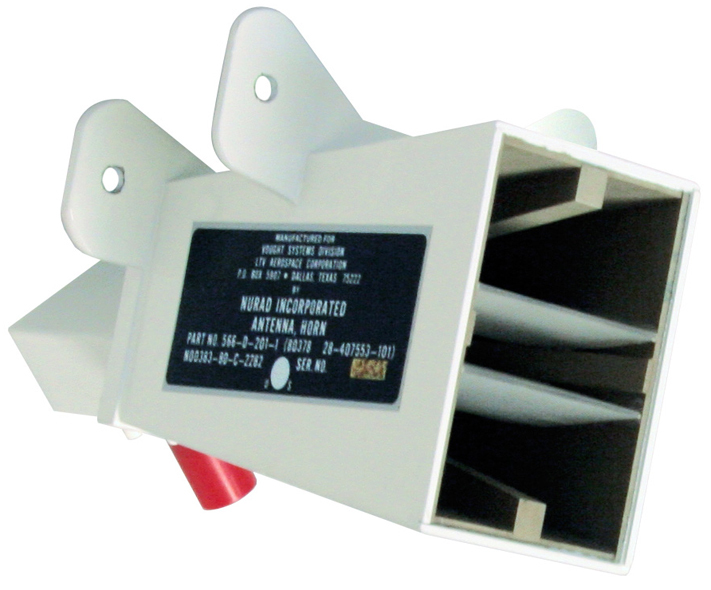 Riganas 539/APS-20HZL horn assembly is available stand alone without reflector. "C" male connector on feed end. Part of APS-20 WWII radar system. 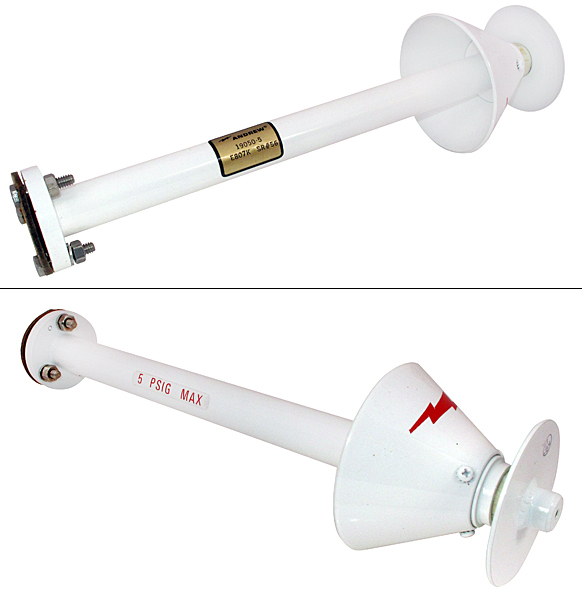 Pickard & Burns microwave horn antenna is 59" long and opens to 26" diameter. "C" connectors can be seen on feed end (right). Solid mast mount on bottom. Only 2 in stock. New in crates. Nurad aircraft antenna horn. 1-5/8" x 2-1/2" opening. 6" long body. "TNC' connector on feed. 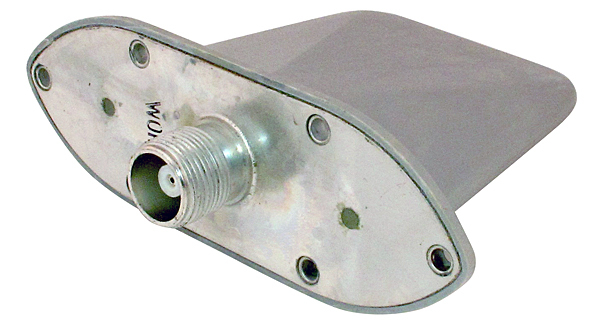 Nurad aircraft antenna horn. 3" x 4-1/8" opening. 8" long body. "TNC" connector on feed. Sanders slot antenna is a compact, (2-1/4" x 4" x 1/2") antenna made to surface mount with 1-1/4" x 3" window feeding through wall. WR-62 bolt up flange. Crated, new Racal antenna turning unit. Standard: 4.2m. Steering: 2.6m. Date coded 1/84. Only 1 available. 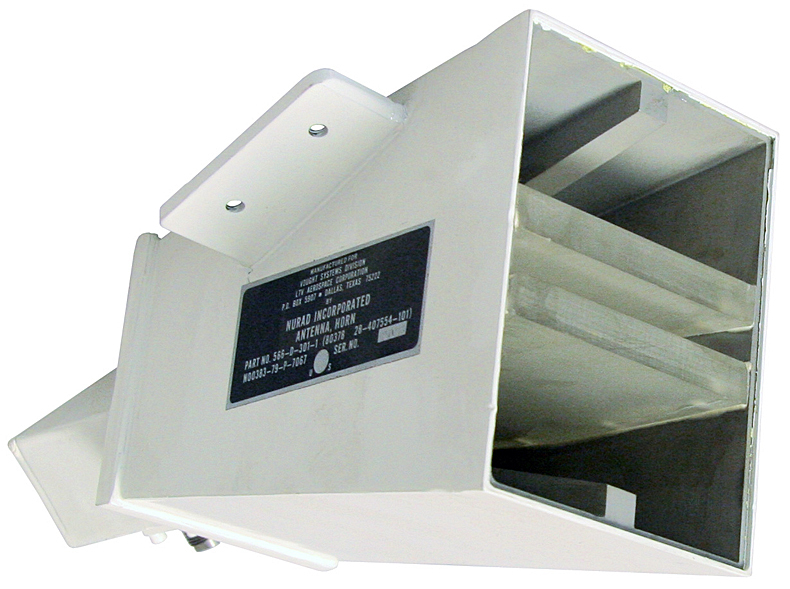 RCA heavy duty weatherproof ship board radar antenna turning unit. 115v, 60 Hz operation. 18" x 27" base box. Rotating plate is 8-1/2" x 24". 364 pounds gross weight. We have these new in the crate. 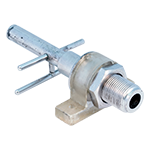 Andrew broadband discone antenna designed to handle full power of 560 transmission line, 7/8" EIA flange input, suitable for highly corrosive atmospheres. 3-3/4" diameter x 13-1/2" long. Collins broadband aircraft fin antenna handles high power pulse transmissions. HN connector. 3-3/4" high x 3-3/4" wide. 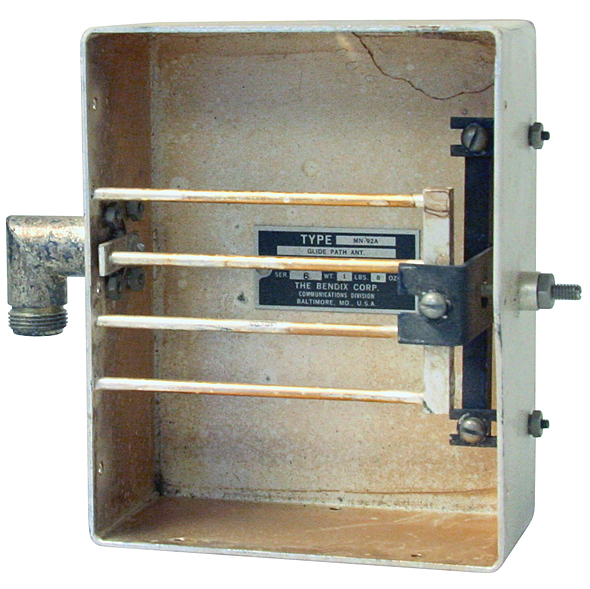 Bendix all silver plated antenna glideslope box. Type MN-92A. "N" connector. 4" x 5". 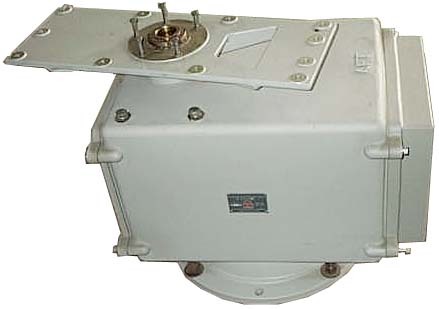 AS-2838/A broadband aircraft horn antenna. "TNC" connector. 3-3/8" x 5-3/8" horn opening, 13" long. All silver plated horn antenna. 2-3/4" x 4-3/16" horn opening. "N" connector. 5" long body. Nice directional X-Band motorized dish. Naval surplus. 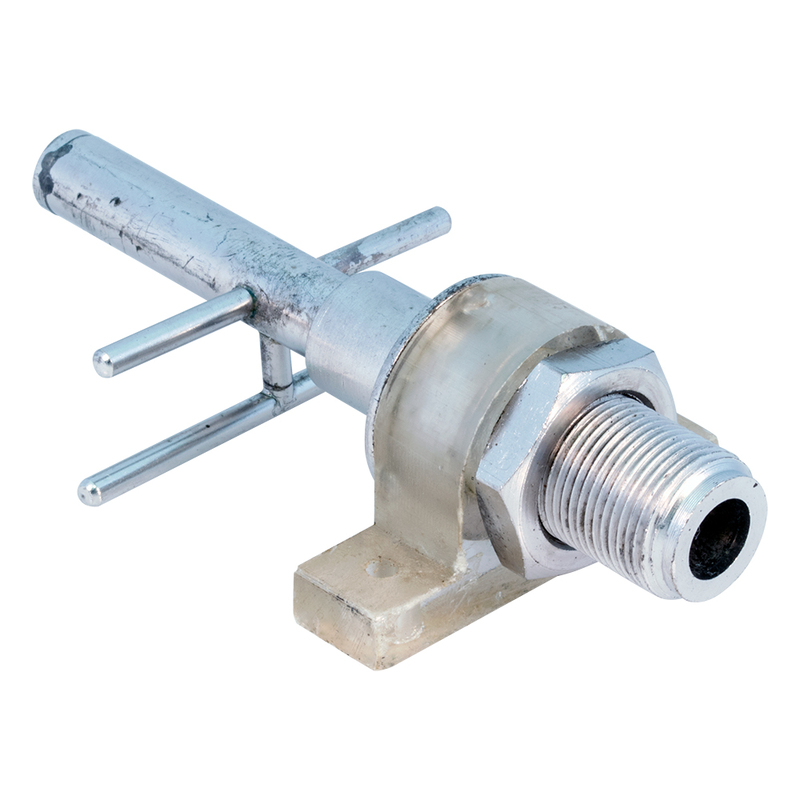 Waveguide fitting has round fine threaded fitting. Aluminum horn waveguide. 10.75" long x 9.875" high x 1.625" wide. 1" x 5.625" mouth width. New. Military dipole bi-directional antenna. 3 GHz, 50 ohms. Mounting bracket has unthreaded holes, 0.136" diameter. "N" female connector. 3.812"L x 1.062"H x 2.187"W. NSN: 5985-00-093-5619.